A synthesised, echoing arpeggio emerges from silence. A throbbing, metronomic bass pedal follows, measuring metre. Further layers enter in sequence: a straight backbeat, an electric guitar nimbly navigating its upper register. The texture fades at the zenith of its complexity, peeling away to expose simple power chords, oscillating calmly between two harmonic centres. At the snap of a hi-hat, a fresh pattern engulfs the continuing scheme, forming a natural extension of the dramatic prelude. 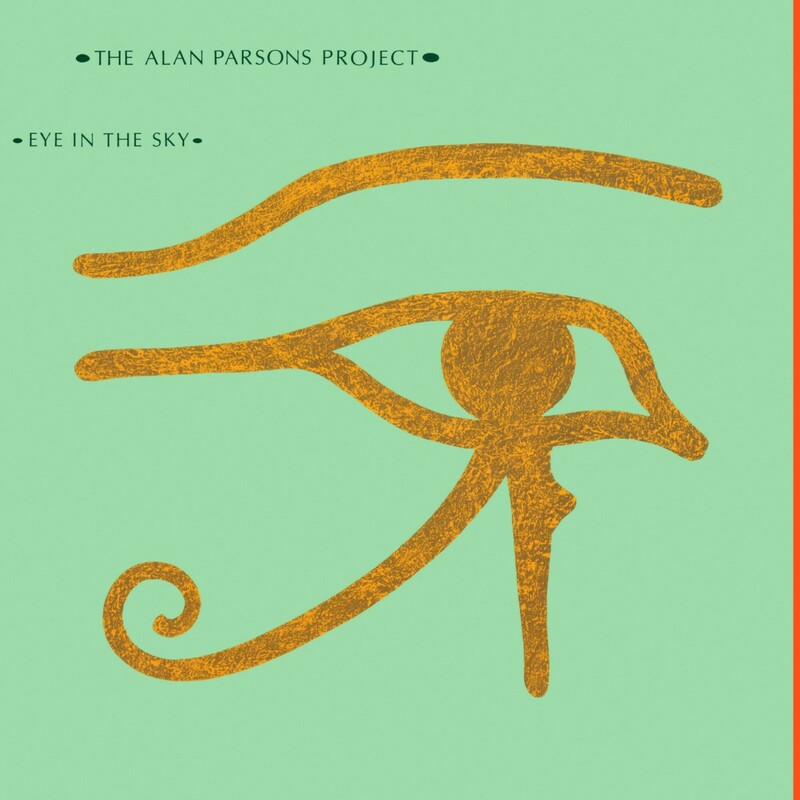 Wreathed in mystery, the famed eye of Horus gazes out from the cover of Eye in the Sky. From the moment that we pull the album sleeve off the shelf, transfixed by its pale green and shimmering gold, we recognise that the supernatural is on the cards. No fear is shown in the face of the imposing subject matter. It manifests in the enigmatic omniscience of the title. It is scrutinised in the conspiratorial lyrics of ‘Children of the Moon’. It vibrates in the celestial resonances of ‘Sirius’ and ‘Gemini’. Despite the majestic packaging, the album’s simple song structures and soft timbres show a subtler side. Only occasionally does the music rise in ostentation to match the lyrical grandeur. In ‘Old and Wise’, the main theme is gifted an elevated orchestral footing. Its opening woodwind phrases descend smoothly, sweeping above the support of steady strings, working in counterpoint to the melody. The saxophone solo that ushers the composition into its closing bars renders jazz a distant memory. Eye in the Sky’s title was chosen in a case of Jungian synchronicity; a band member encountered the phrase three times in one day. The mystical elements that tie the album together, in a similarly nebulous vein, are not intended to form a cohesive narrative. No stylistic or motivic consistency is evident. Each element is part of a pervasive aura, a shedding of the tangible. The conceptual elusiveness hints at cosmic profundity, an apt response to the perplexity of that lidless eye. You can listen to 'Sirius' and 'Eye in the Sky' here, 'Children of the Moon' here, and 'Old and Wise' here. Which prog rock albums or songs would you recommend, and why? Coastal picnics, chocolates, and scurrying mice feature in this selection of four Latvian artworks. Cloudy electronic tones billow and deteriorate on this plaintive ambient album by William Basinski.